Rotary is more than "just" one specific thing. It's more than just service. It's more than just fellowship. It's more than just networking. Our efforts are local and beyond, to the far reaches of the globe. 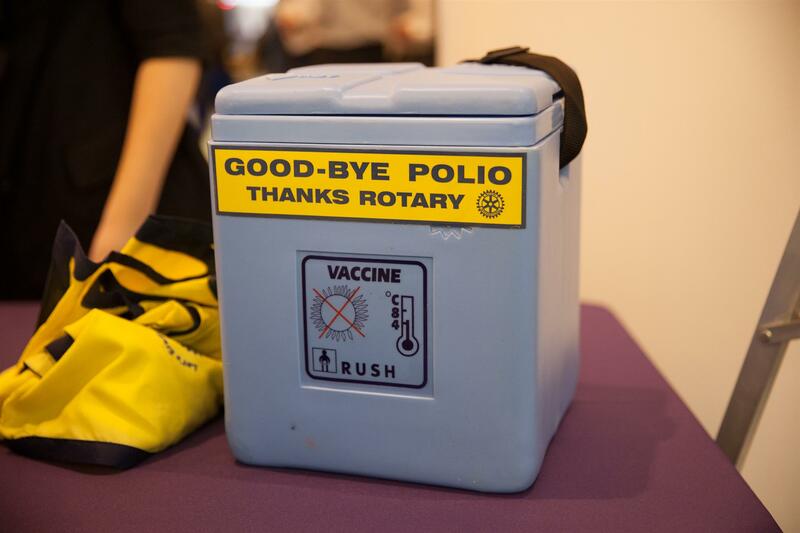 We are now closer than ever to stopping the spread of polio, down to just three countries: Pakistan, Afghanistan and Nigeria. Our causes focus on providing the developing world with sources of clean drinking water and good sanitation. We fight diseases. We help mothers and children. We educate. We improve local economies. We pursue avenues of service in the areas of international, youth, local community, and vocations. We find ways to serve the club through membership, public relations and administrative activities. And above all, we promote peace and goodwill wherever we go. I had the honor of becoming acquainted with Rotary in 2002 when my wife and I (as non-Rotarians) hosted a professional on a Rotary exchange from Sweden. The following year I was asked to interview for a spot on a team of professionals on Rotary sponsored exchange to Argentina. We spent a month traveling northern Argentina being hosted in Rotarian homes. We met professionals, leaders and polititicians, and visited 16 Rotary Clubs Upon returning home to Colorado, I was invited into the Broadmoor Rotary Club (Colorado Springs, CO) and when I moved to Russia I was invited into the Barnaul Rotary Club. After dodging the office of presidency for 12 years, I am honored to be president of the Rotary Club of Sharon. Just as every person is different, each club I've ever attended is different. Each club has it's own character and traditions. But when you meet a Rotarian, you'll know it because most strive to be People of Action, Integrity and Goodwill. I am proud to say that our Club participates in both local and international causes. On a local level, we work with food banks, during the holidays we help those who have less, we serve Thanksgiving Dinner to our elderly neighbors. We give scholarships and provide opportunities for youth to learn leadership. We pick up trash and plant trees. We march in parades. On an global level we support a school for girls in Afghanistan. We support international organizations such as Shelterbox to provide humanitarian aid all around the world. Are you a new resident to Sharon? There's no better way to begin setting roots than to join our Club. We're not actively looking for new members. We are, however, looking for new participators - those who help with projects, bring new ideas, and lead. MOST importantly, we're looking for those who want to have a good time doing it. To learn more about what it means to be a member of our great community, I invite you to attend one of our meetings. We convene every Monday evening over dinner to hear an interesting speaker, work on a service project, or discuss what we want to accomplish. Thank you for taking the time visit us our website. Whether you're an active Rotarian, a prospective speaker, or just an interested individual, I hope to see you soon.